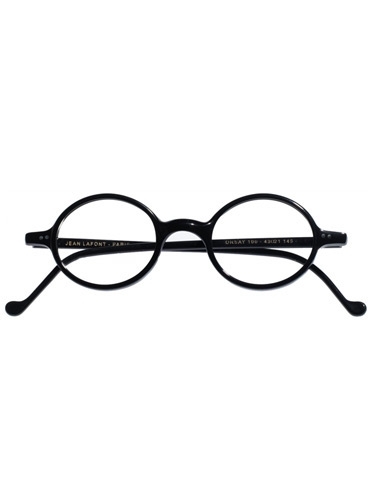 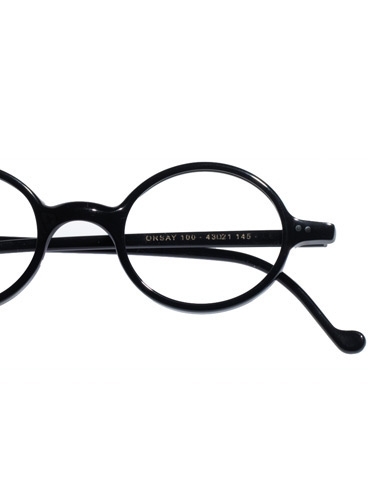 This timeless and graceful nearly oval frame, with a delicate saddle bridge and pointed tips, is made exclusively for us in France by Lafont of Paris. 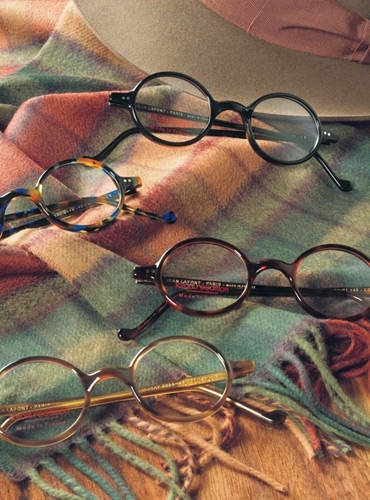 With a 43 mm lens, it will flatter nearly every face. 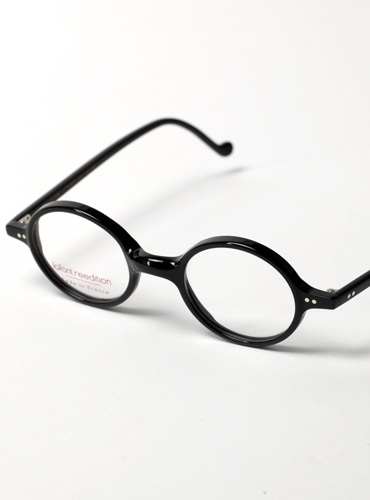 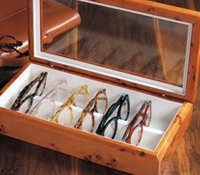 The elegant pointed tips add width to the frame, offering a suggestion of a larger size without actually increasing the lens size. 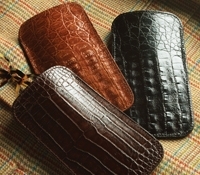 Shown in black, but also available in: A-dark tortoise; B-blue tortoise; C-eggplant.